These quality Cobra Jet Steering products are specifically designed for your Yamaha Jet Boat. FITS 2019 model year Yamaha Single Engine jet boats ONLY! Due to Yamaha redesigning the nozzles and reverse buckets on all the 2019 models, we have just completed the changes necessary to provide you with the ULTIMATE-19 steering for more control at all speeds from dociking to wide open and water sports activities. This system offers all the features and benefits of the original Ultimate steering with a wider and more effective stance to be compatible with the new 2019 nozzle designs. Fully adjustable, selectable, and spring-loaded this system is built from the same tempered aluminum for strength and effectiveness with a low profile. Click here for more info or to purchase your Cobra Venom Ultimate AK-19 or SUPER Ultimate AK-19 steering. FITS 2019 model year Yamaha jet boats ONLY! Due to Yamaha redesigning the nozzles and reverse buckets on all the 2019 models, we have just completed the changes necessary to provide you with the Magnum AK-19 steering for more control at all speeds from docking to wide open and water sports activities. This system, like the original, also includes the second tie rod for an even work load and a balanced system. The new Magnum AK-19 system is also compatible with the AK Fangs. Click here for more info or to purchase your Cobra Venom Magnum AK-19 or SUPER Magnum AK-19 steering. New Cobra Ultimate AK steering system for all twin engine articulating keel Yamaha jet boats from model year 2015 to model year 2018. This system is based on out most popular Ultimate steering system and our Magnum AK system . This is our largest, most effective, adjustable, selectable, spring-loaded steering system with the second tie-rod included to balance out your original factory steering system. The Ultimate AK takes the boat to a new level of steering control, it addresses all areas of your boats handling and allows you to choose from a wide variety of steering enhancement settings, starting at idle speeds to high speed and even in off power situations or water sport activities. Great for guest operators also. This system will transform your twin-engine articulating keel jet boat steering response from sluggish to amazing! The UItimate AK steering system is compatible with the new Mega Fang Plus upgrade for smooth and easy steering at wide open throttle during sharp turns to improved reverse thrust and stopping power in reverse as well as better reverse steering control. Remember NO other steering system can come close to the steering improvements you will receive with this system! Click here for more info or to purchase your Cobra ULTIMATE AK or SUPER ULTIMATE AK Series steering. 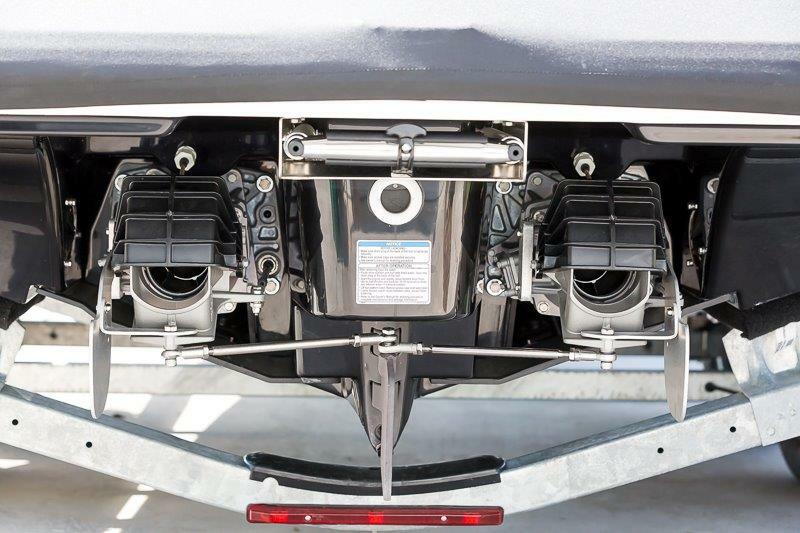 The Cobra Venom MAGNUM AK system for twin-engine Yamaha jet boats with the Articulating Keel was specifically designed to address the needs of these particular boats. This system fits model years 2015 - 2018. Model year 2019 requires the Magnum AK-19 system. WHAT we did and WHY: Your AK jet boat has a very large keel down the center of the hull. This keel resists turning and the faster the boat travels the more it wants to go straight! Yamaha added a rudder to the back of this keel in an effort to deal with this tendency. This added keel puts more stress on the steering components (NOZZLE, CABLE, HELM, etc.) and more force was needed to turn the steering wheel at speed. They added a rack and pinion steering to this boat to make the wheel easier to turn by its operator, unfortunately the turning ratio was greatly increased from a 1/4 turn for a full right or left to a 1/2 turn of the wheel to accomplish the same thing. The MAGNUM AK system addresses these issues and more. After all, if you were happy with the handling and steering of the boat you would not be here looking to improve it. Our Magnum AK system adds two extra fins to the steering system. These are NOT just slow-speed part-time fins, our system works ALL THE TIME because your boat needs more assistance at ALL speeds. The fins in conjunction with the factory rudder form a "V" configuration to give instant response at all speeds cleanly, effectively and predictably. We also went to great lengths to build a very heavy duty stainless steel tie rod to balance out the work being performed by the nozzles, steering cables, and helm. This additional tie rod allows your system to push on the steering nozzles and fins AND pull on them, both at the same time. It also balances out the work load to both sides of the steering helm , nozzles and the steering cables, and also adds a redundancy to your system . This special system just makes sense. We also made a special upgrade called the Magnum AK FANGS for even better reverse, plus a power steering effect. Check them out below. Click here for more info or to purchase your Cobra MAGNUM AK or SUPER MAGNUM AK Series Steering. SurfPointe fin re-alignment kit for the Cobra Magnum AK, Cobra Super Magnum AK, Cobra Magnum AK-19, and Cobra Super Magnum AK-19 steering systems. Specially designed for people who are using the SurfPointe setting on their Yamaha articulating keel boats and wish to be capable of resetting the angle of their CJS steering fins to accomodate the nozzles being offset for SurfPointe. This twin set will easily allow you to have your nozzles set for SurfPointe while repositioning your steering fins to their proper alignment relative to the boat. Click here for more info or to purchase your SurfPoint Fin Re-alignment Kit. Our largest, most popular, tempered aircraft aluminum, laser cut, spring loaded, fully adjustable and selectable steering system. Yes it's all that and more! Compatible with most single engine and twin engine Yamaha jet boats, except the newer articulating keel twin engine boats. This one of a kind system can be set at the level of influence YOU choose to meet your personal needs. This remarkable system offers so many options that it is easy to see why it is the ULTIMATE steering and our most POPULAR system for Yamaha jet boats. From around the dock to wide open throttle and anywhere in between, including water sports activities. You set the level of influence that suits your style and needs! The ULTIMATE steering can easily be set to go up at speed or stay in the water at all speeds. YOU decide what works best for YOU. YOU choose the level of high speed influence. YOU choose the function! The ULTIMATE steering features spring loaded fins for swimmer safety allowing the fins to flip up on contact with any object in the water in either mode, full-time or part-time. The ULTIMATE system comes with the MEGA FANG+ compatible base plates and is upgradeable to accept the MEGA FANG+ for even more options at a very affordable price. 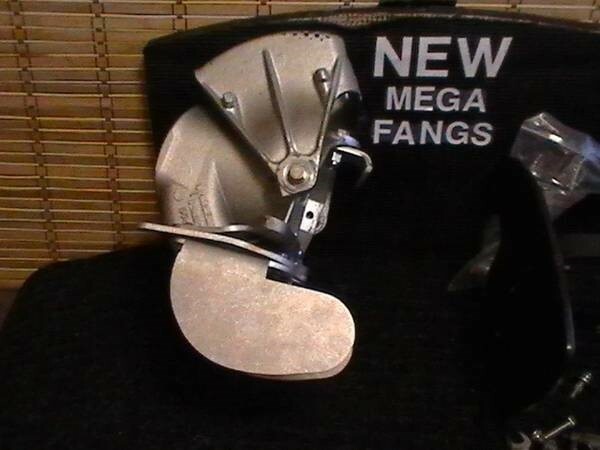 So check out our MEGA FANGS upgrade, also listed on this web page. Quite frankly, there is no other system offered by anyone at any price that can compare to our patented termpered aluminum, laser cut, adjustable, selectable, spring loaded ULTIMATE steering system. And, with the MEGA FANG+ upgrade, you can customize your system to add EXCELLENT reverse control at all speeds, high speed resistance reduction, and improved stopping ability in reverse, plus OFF power steering control to mainatain control even when rapidly reducing your throttle while turning. If you need full-time steering for water sports or compatibility for wake surfing or super control for guest or multiple drivers this is the ONLY system YOU need. Fresh water/salt water/ lakes/ rivers /streams or the ocean, cruising or water sports, this is the best of the best, so buy your last steering system FIRST. COBRA VENOM ULTIMATE steering, for Yamaha Single and Twin-Engine jet boats. - Compatible with all Yamaha SINGLE-engine boats including the models with articulating keels. Note 2019 models require the Ultimate AK-19 version. - Compatible with all Yamaha TWIN-engine boats EXCLUDING the articulating keel models. -- For these boats, see the Cobra Venom Ulitmate/SUPER Ultimate AK or Magnum/SUPER Magnum AK or Magnum/SUPER Magnum AK-19 steering which are specifically designed for those 21 and 24-foot models. Click here for more info or to purchase your Cobra Venom ULTIMATE or SUPER ULTIMATE steering. Laser-cut adjustable tempered aluminum steering system for most Yamaha jet boats. - You can set the influence to your personal preference. Get great control at all speeds or just at slow speed depending on how you set the fins. - Works on most Yamaha single and twin-engine jet boats with the exception of the 21 and 24-foot articulating keel models. - For the twin-engine articulating keel models, see the Cobra Venom MAGNUM AK Series steering above. - This steering system is easy to install and easy to afford. It is even upgradeable with Cobra Mega Fangs Plus for even better reverse control and power steering. Click here for more info or to purchase your Cobra Venom MAGNUM 16X or SUPER MAGNUM 16x steering. Our newest model-specific CJS VIPER steering system is specially designed for use on the Yamaha 19-foot single engine jet boats. We incorporated a much wider stance for increased fin travel to provide more steering input with less depth of the fins, we also built in our latest fang system to be compatible with the factory keel and rudder for a power steering effect and greatly improved reverse control. Between the fins we added a planing surface for quicker hole shots, easier planing, and more hull stability in rough conditions. We are happy to say that this system is very popular. We also have versions for ALL Yamaha 19 foot NON-KEEL jet boats, the VIPER NK for setups equipped with the new style nozzles and another version called the VIPER NK II for the boats equipped with the early style nozzles. Click here for more info or to purchase your Cobra Viper Steering. Upgrade your existing system today with our newest Super Steering Fins for all Ultimate and Magnum systems, past and present. Specially designed fins that increase the steering influence above and beyond the regular Ultimate or Magnum fins capabilities while operating your boat in slow and no wake speeds to provide even more slow speed forward and reverse steering control. The Super Steering Fins allow you to swap out your regular fins with our latest Super fins without purchasing the entire system! That is correct, you can upgrade any existing Magnum or Ultimate fins that are currently on your boat. 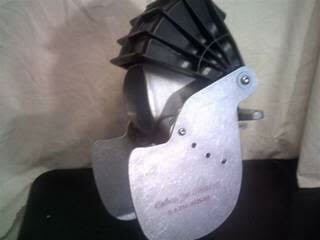 Super Magnum fins can be used in place of any Magnum system fins currently in use. Likewise, the Super Ultimate can replace any Ultimate system fins currently in use. Check out the special pricing offer for our current customers. 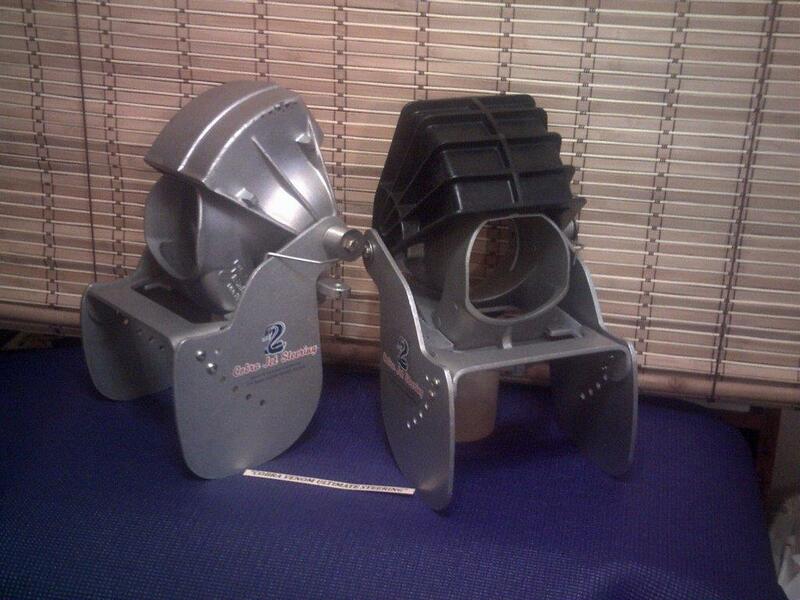 These new Super Steering Fins are also compativle with the AK Fangs, Mega Fangs, and Mega Fang Plus systems. Click here for more info or to purchase your Super Steering Fin Upgrades. MEGA FANGS PLUS are our latest steering system Upgrade. 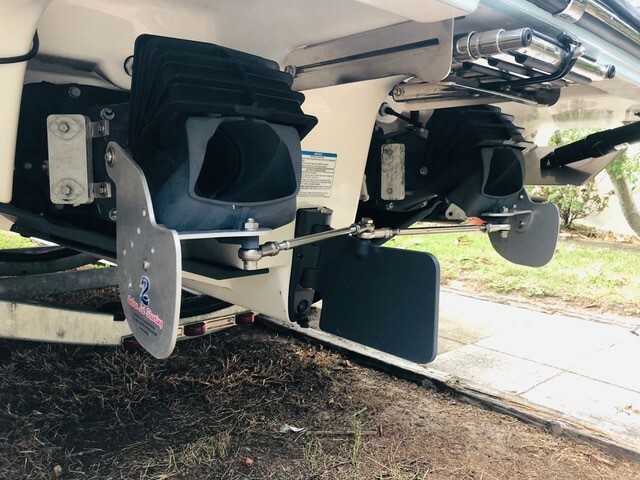 These specially designed fins mount just below the nozzle using a special base plate that places the fins next to the reverse water exit under the boat. These MEGA FANGS PLUS direct the reverse thrust to push in a more controlled manner, providing more reverse response in all directions. This gives you a REAL REVERSE for much more predictable control and confidence when backing in tight places or turning in reverse. The MEGA FANGS PLUS also add a POWER STEERING effect to your steering system by placing part of the MEGA FANGS PLUS fins forward of the nozzle pivot point, thus using the forward momentum to help turn the steering nozzles and fins with ease at all speeds. The MEGA FANGS PLUS are compatible with the ULTIMATE, MAGNUM 16X, and MAGNUM AK Steering Systems from Cobra Jet Steering, as well as any SUPER version of those systems. 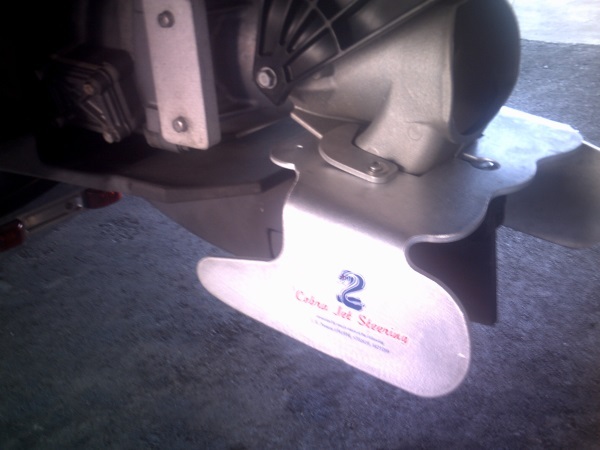 They are NOT COMPATIBLE with the CJS VIPER Steering System for the single engine rudder equipped jet boats. However, they can be added to the non-rudder NK and NK II versions to make up for not having a rudder. Please note these are not compatible with any 2019 models. Click here for more info or to purchase your Cobra MEGA FANGS PLUS Steering add-on for Yamaha. - Mounted forward of the nozzle pivot point to provide a "power steering" effect. - Improves steering control in reverse by directing water and keeping it under the boat. Click here for more info or to purchase your Cobra Venom FANGS - MAGNUM AK Series Steering add-on for Yamaha. 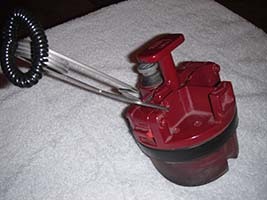 The simple, easy to use, and inexpensive way to stop cleanout plug blowouts. - Works on YAMAHA single and twin-engine jet boats built between 2000 and 2016. - COBRA EZ-Lock is a specially designed stainless steel spring pin system that "locks" the arms of the plug's latch mechanism in the "down" position to prevent dangerous and expensive unexpected cleanout plug blowout. Click here for more info or to purchase your Cobra EZ-Locks. CJS stainless steel adjustable tie rod kit for all 21 and 24 foot Yamaha articulating keel jet boats. Balance your steering by adding a second tie rod to share the work and even out the wear on your steering cables and helm as well as adding redundancy to you system like we do with our AK steering systems. Stand-alone tie rod set includes necessary stainless steel hardware. 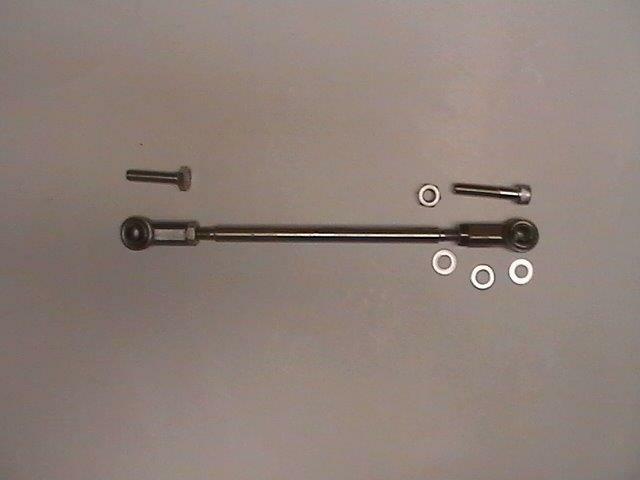 Click here for more info or to purchase your AK Stand-alone tie rod kit. If you don't find the product you are looking for, are not sure which product you need, have a boat not mentioned above, or would simply like more information, please contact me at jeff-w@cobrajetsteering.com or (727) 546-8460.